A great new story from the author of Rooftoppers! A wild Russian girl and her wolves. What an Adventure! “Fairy tale and history merge seamlessly” (Publishers Weekly, starred review) in this enchanting and lyrical novel about love and resilience from the Boston Globe-Horn Book Award winner, Katherine Rundell. 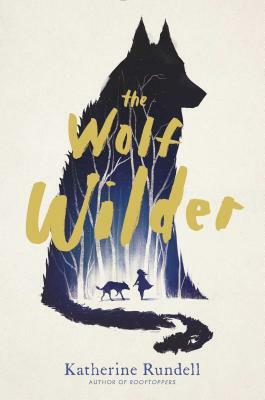 "Fairy tale and history merge seamlessly; in a land where terror reigns and adults grow numb with fear, a "little wolf girl" outmaneuvers a sadistic general, awes a village, and inspires an army of children to march on St. Petersburg with dreams of justice. Breathtaking." *"Rundell never fails to work magic with language and deft storytelling. Feo’s world of wolves and snow, danger and triumphant bravery, rings with the classic allure of folktales. Her spirited, half-wild nature shines brightly on the page, even as her vulnerabilities endear her to readers’ hearts." *"Will have readers cheering--or perhaps howling--their approval."